The float glass is processed further in several linked steps to windows for cars. Possible coatings are applied to the glass before processing. During shape cutting, the glass is cut to its final size. Then the edges are ground precisely and openings/holes are applied for installation of additional components to the glass. The subsequent bending process shapes the glass while it is heated to up to 600°C. The cooling process gives the glass the required strength. Windshields (Laminated glass) are laminated with PVB film and permanently bonded in an autoclave. After possible assembly processes, the final cleaning and quality control, the packaged windows are sent to final automotive assembly line. To avoid the adhesion force between stacked glass sheets, the sheets are coated with separation powder. The special suction cups SGF and SAB generate high shear forces even when separation powder is used. 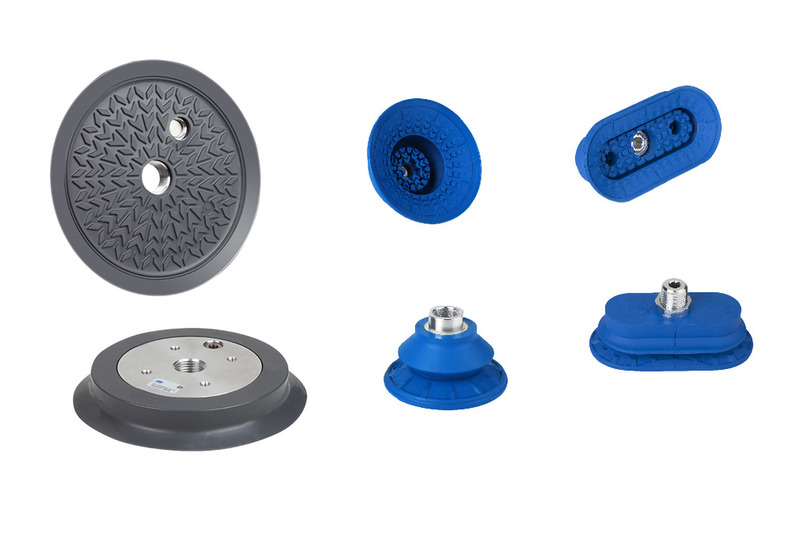 The specially developed profile of the suction cups ensures high friction for secure handling. The low stroke of the suction cups SGF enables maximum precision while the flexible bellows of the SAB also adapt to shaped glass, e.g. side lites. Marks on the surfaces of the glass sheets should be avoided throughout the entire production process chain. 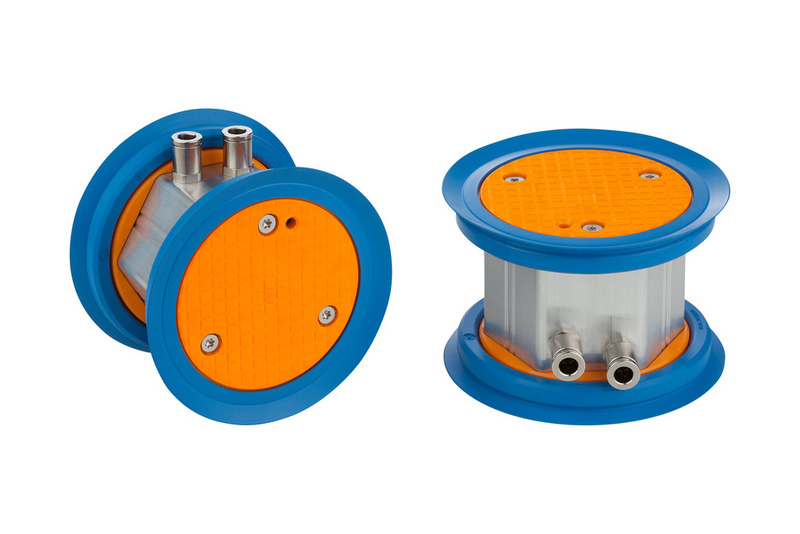 Suction cups made of the markless material HT1can also be used at temperatures of up to 170°C (e.g. unloading the bending furnace). In combination with a low surface pressure, the suction cups SGF and SAB are ideal for meeting these requirements. With the suction cup covers SU, any contact between the suction cup and the glass can be prevented. We developed a special foam layer with a protective coating so that the vacuum area gripping system can be used for handling soft coatings, such as those used for low emissivity windows, because of its large contact surface and minimal surface pressure. These handling processes require short cycle times. The compact ejector SXMPi offers an integrated suction and blow-off function. This minimizes suction and release times, as well as energy consumption, since the integrated automatic air-saving function means that the ejector is only activated when vacuum is needed. 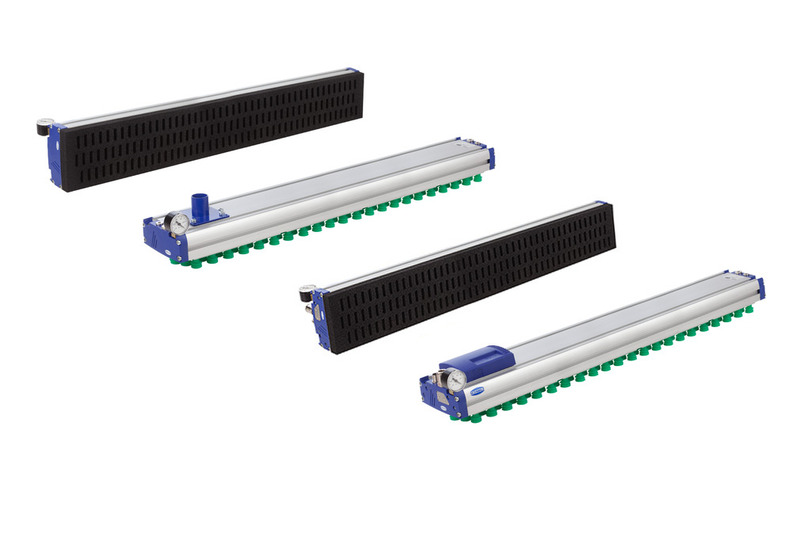 The intelligent compact ejector also features numerous functions for energy and process control as well as predictive maintenance funtions to increase system availability. In the assembly processes for automotive glass, manual and automated processes are often closely connected. The glass has to be fixed in place for a long period. The compact ejectors SEAC-RP offer suction and blow-off functions in minimal installation space, enabling them to be used right on the suction cup. 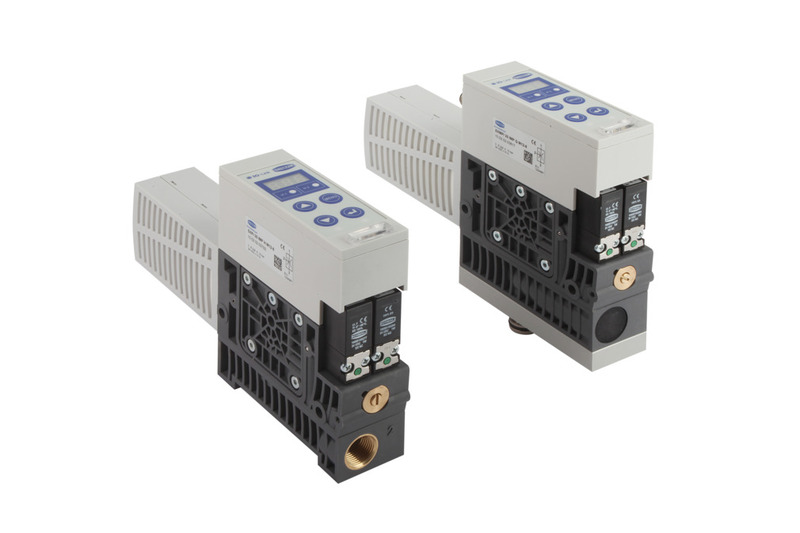 The integrated pneumatic air-saving regulation reduces the compressed air consumption to a minimum, while ensuring that the system produces very little noise. The area gripping systems FXP/FMP grip large areas of the glass so that only low local surface pressure is generated. This allows even sensitive coatings or imprints to be handled without damage. Thanks to the integrated valve technology, the grippers can also handle workpieces that are smaller than the actual gripping surface. The universal gripper FXP also offers an integrated vacuum generator. In addition to powerful holding forces, the height tolerance also plays an important role in the grinding process of glass, because even minimal height differences can cause significant fluctuations in quality. 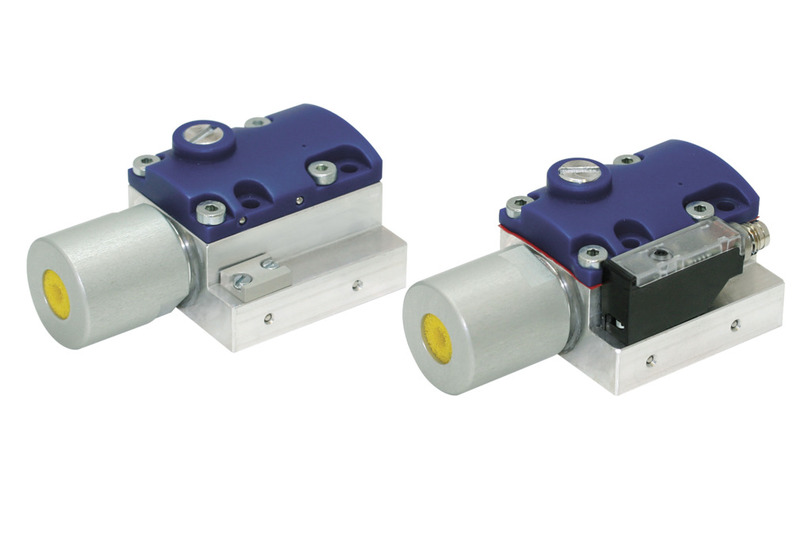 With the Quick-Change System SQC and the vacuum blocks VCBL-GL, the workpieces are clamped safely and precisely. In addition to the high shear force absorption, the vacuum blocks ensure minimum height tolerances for a high quality of the glass edges. The felxible Innospann cups solutions also allow the processing of different shapes with minimal set-up work.